Publix Super Markets Inc. today opened the first of five planned locations for its GreenWise Market store format. Located in Tallahassee, Fla., near Florida State and Florida A&M universities, the 29,000-square-foot GreenWise store focuses on convenience and healthy lifestyles, serving up an array of natural, organic and specialty foods, including fresh prepared items. 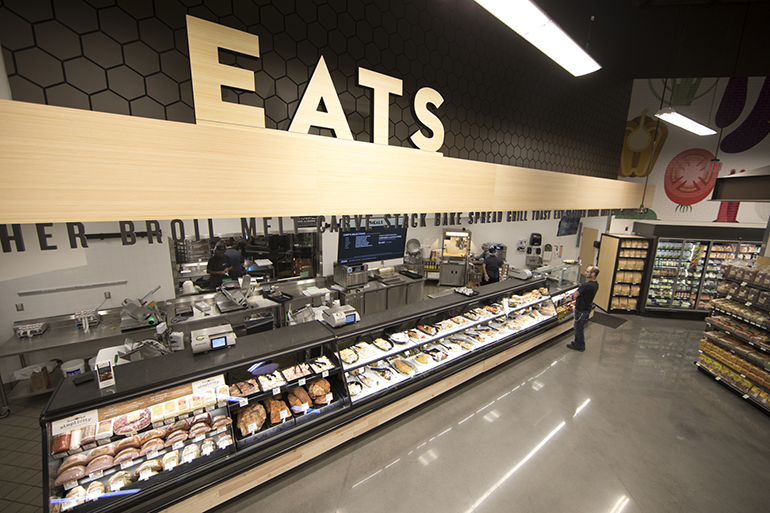 Fresh-made fare features antibiotic-free meats, organic cheese and vegan items and includes handcrafted sandwiches, acai bowls, gourmet pizzas, burritos, bowls, sushi and sausage made in-house. On the grocery side, customers will find local and organic fruit and vegetables, body care, natural vitamins and supplements, bulk items and local and unique products, Publix said. The store also offers an expanded line of GreenWise seafood, certified by the Marine Stewardship Council as coming from sustainable fisheries. A beverage bar serves kombucha, local craft beer, wine, smoothies and locally roasted coffee. Situated at the corner of Gaines Street and Railroad Avenue, the store also houses a large mezzanine area where customers can eat and socialize, as well as a mixed media mural by Tallahassee artist Charity Myers. Publix has launched a dedicated loyalty program for the format called GreenWise Market Rewards, which will enable customers who enroll to receive personalized offers and digital coupons. The rewards can be redeemed only at the Tallahassee GreenWise location. The four other GreenWise locations — in Lakeland and Boca Raton, Fla.; Mount Pleasant, S.C.; and Marietta, Ga. — are slated to open in 2019, Publix spokeswoman Maria Brous said. Publix has previously said it will look for more potential GreenWise sites across its Southeastern operating area. Lakeland-based Publix introduced the GreenWise concept in 2007 as Publix GreenWise Market, designed to compete against natural and organic food retailers like Whole Foods Market. The format emerged from the natural and organic private brand founded in 2003 and from departments at traditional Publix supermarkets also called GreenWise. The first store, a 39,000-square-foot unit, opened in September 2007 in Palm Beach Gardens. Publix GreenWise Market locations next were opened in Boca Raton (a 36,000-square-foot store) in May 2008 and in Tampa (a 39,000-square-foot store) in November 2008. Publix later refocused the concept by opening “hybrid” Publix stores that incorporated elements from the GreenWise format. Then in March 2017, Publix announced that it would “reignite” the GreenWise Market concept, this time dropping “Publix” from the banner and downsizing the stores. For example, the Lakeland and Mount Pleasant stores due to open next year will be 25,000 square feet, more than 10,000 square feet smaller than the current Publix GreenWise Market units.